Menswear, despite covering a broad spectrum of styles, appears to be dominated by the three 'B's': Beards, Brogues and Bows. At London Collections: Men it seems to be a badge of honour if you can manage to sport all three 'B's' with men coveting beards of all different lengths and colours, brogues in varying varieties of leather and bows in all different shapes and sizes. Beards really had their day last year and were made even more popular by photographer Jonathan Daniel Pryce who fronted the project, '100 Beards, 100 Days'. The project is exactly what it says on the tin, a collection of photographs taken over 100 days of 100 bearded men. The whole idea started when Jonathan moved to London from Glasgow and was faced with a wide variety of beards that were just grown to be photographed. You can take a look at the dedicated website here. 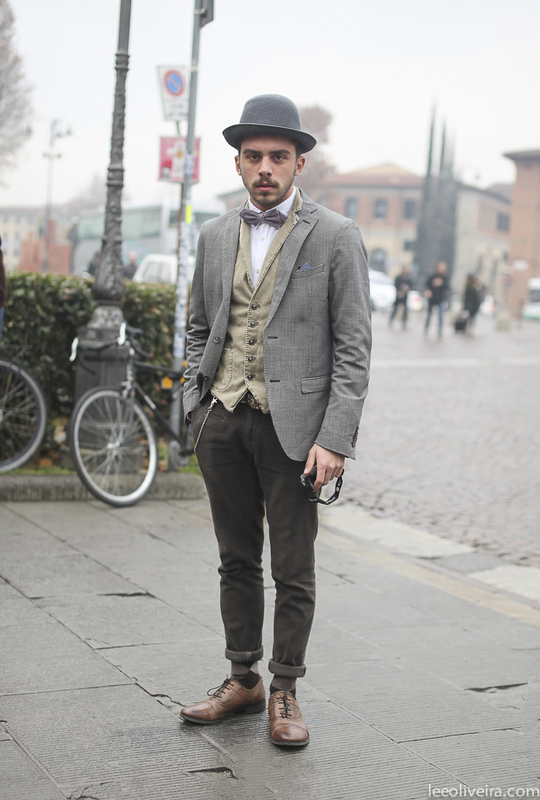 Brogues are another thing that are experiencing their heyday. Since early 2009, Brogues have been filtering their way through to our wardrobes from the catwalk and as a result have become the must have shoe for anyone attempting the modern gentleman or geek chic looks. They are the perfect mix of smart and casual, offering support for your feet whilst providing a transitional style that can take you from day to night. Over the past few years there has been a return of the bow tie as part of a man's wardrobe, something we investigated in Issue 3. Due to style inspiration being taken from older generations, more and more guys are adorning their necks with bow ties without thinking twice. Brands like Velsvoir and Charles Olive have adapted the traditional bow tie and created a 21st century version that won't look out of place at a rooftop party in one of New York's chicest neighbourhoods. All in all, it is hard to go wrong if you follow the three 'B' rule but the important thing is to always put your own spin on this trend. There is nothing worse than becoming a walking cliché and there is still so much life left in this trend, all it needs is a little creative edge.